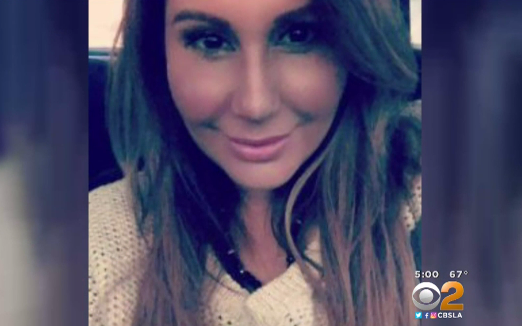 LOS ANGELES -- Police searched a home Tuesday for the body of a former reality TV show contestant who vanished over the weekend after attending a birthday party at a California beerhall. Jackie Rogers was arrested on suspicion of murdering Lisa Marie Naegle and police went to his home in Lennox after he told investigators her body was there, police spokesman Tony Im said. Investigators believe Naegle is buried on Rogers’ property, CBS Los Angeles reported. Police and Los Angeles County coroner’s officials were seen in the back yard. Rogers was an acquaintance of Naegle. “The information he has provided has led them to believe that Lisa has been murdered and that her body is at Rogers’ residence,” Detective Meghan Aguilar said. There was no immediate word on a motive or cause of the presumed death. It wasn’t immediately clear if Rogers has a lawyer. Naegle, 36, a nurse who lives in the San Pedro area of Los Angeles, was a losing contestant on the show “Bridalplasty” in 2010. She competed for a dream wedding and plastic surgery. She taught nursing classes at West Los Angeles College, according to the Daily Breeze of Torrance. Naegle had gone to a birthday party with Rogers on Saturday night. Naegle’s husband, Derek Harryman, said he texted her around 2 a.m. Sunday to see where she was. She never arrived and didn’t show up to teach. Harryman and Naegle’s sister filed a missing person’s report and asked for help on social media in finding her. The family said they obtained photos showing Naegle leaving the beerhall with Rogers and video that showed her getting into his sport utility vehicle. “We begged and pleaded that he’d come to our home to kind of give us details on what time, where were things, and when he left her, but while he was talking to us and telling us his story, multiple different times he said he absolutely did not go home with her, or did not take her home,” Naegle’s sister, Danielle Naegle-Kaimona, told KABC-TV.